Tens of thousands of devotees of Sai Baba were recently given Anna Dana at the annual prasadalaya function here, taking forward a tradition first started by the Sai Baba himself. Devotees accepted the delicious prasad at a nominal rate. Sources at the Shree Sai Baba Sansthan Trust said, nearly 1.5 crore devotees benefited from the prasad and the meals that were served. The trust spends Rs.25 crore annually on the prasadlaya. The donation is considered very valuable in today’s age, which is known as KALYUG in the Hindu mythological context. According to the trust, one should constantly endeavor to donate and help the needy, especially those who are suffering from hunger and malnutrition. 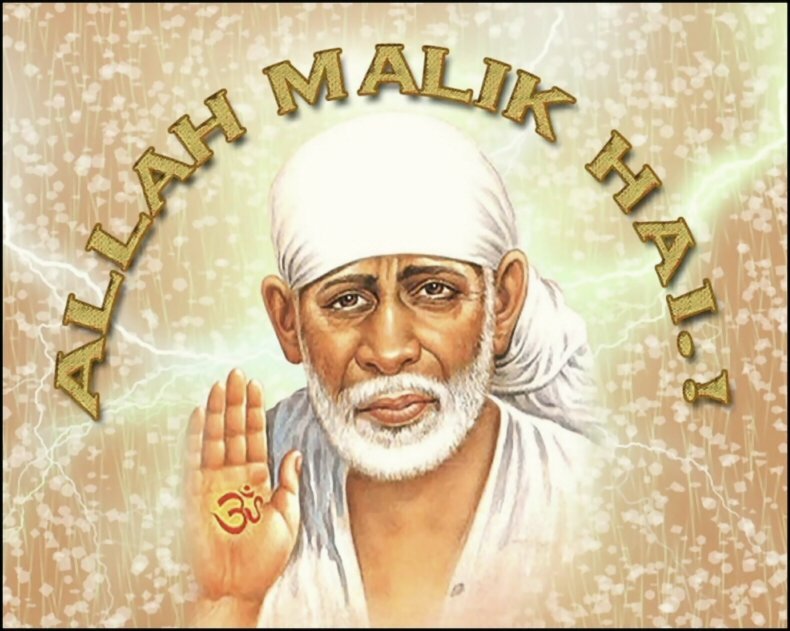 Legend has it that Sai Baba used to feed the hungry in his own unique way, taking the whole process to a spiritual plane. He used to prepare the food himself, and ground the spices on a grinding stone. He also used to purchase foodgrains that were to be cooked and subsequently distributed by him personally. 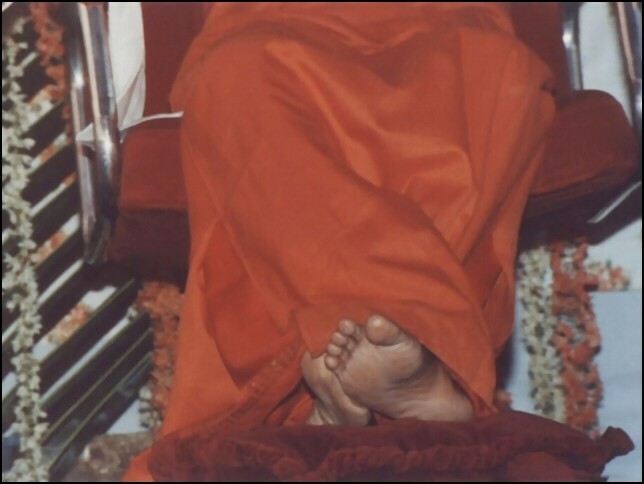 The trust is really a place of faith for all Sai Baba devotees. They relish their food, which can be procured for as little as Rs.5 per person and Rs.2 for a child. On any given normal day, 35,000 to 40,000 devotees attend the activities at the Sai Baba Trust. During occasions like festivals and vacations, the number goes up to 70,000 or 80,000. One hall can accommodate up to 5,000 devotees, and a meal often includes servings of rice, roti, dal, two vegetables and a sweetmeat. Free provision of food is given to the poor, blind, the physically challenged and hermits. The prasadalaya purchases the foodgrains once a year, and it includes 9000 quintals of wheat, 5,500 quintals of rice, 6,500 quintals of besan, 9,500 quintals of sugar, and 11,000 quintals of tur dal, besides 6,200 quintals of vegetables which are stored in the cold storage of the trust. Another 2000 quintals of food grains is also purchased every year. The prasadalaya operates for twelve hours every day and has 474 workers, 404 of whom are permanent. High school and college students are often criticized for their general attitudes about life. Charges of selfishness and self-absorbed behavior are frequently among the complaints. One image that has emerged over recent generations is that of a vacuous, self-indulgent, pleasure- and wealth-oriented bunch that is unaware of and unconcerned about what’s going on in the world around them. For some that may be true, and, well, if the shoe fits, wear it. And, of course, they’ll always have plenty of adult company. But many among the current crop of young people are bucking that stereotype, showing a genuine interest in politics, social justice and the fate of others that is perceived to have been missing to some extent in recent generations. Frederick News-Post reporter Marge Neal’s March 20 story on “alternative spring break” clearly showed that you can’t paint an entire generation with one brush. It seems that while a lot of their peers are partying out in places such as Daytona Beach, Fla., the Bahamas, Mexico and ever more exotic locales, some young people are choosing to tend to the needs of others as opposed to the desires of self. Neal’s story recounted the spring break experiences of a number of local college students, including groups from Hood College and Mount St. Mary’s University. Rather than lying on the beach all day and partying all night for a week, these young people devoted their time and energy to their fellow man. They engaged in work such as tutoring and helping rebuilding houses. Some traveled to Florida, others to North Carolina and West Virginia. While we have no doubt that college students who went the more traditional spring-break route had fun, we wonder how memorable a life experience their week will be. It appears from their comments that those who chose the alternative had fun, but their experience was also truly meaningful. It’s arguable which group “enjoyed” itself more, the traditional spring-break crowd or the more altruistic ones. Ironically, it may well have been those who decided to spend their vacation in service to others. Helping other people is every bit as rewarding to those doing it as it is to those they’re helping — ask anyone who volunteers. We hope that more college students will consider this kind of alterative next year at spring break. Otherwise, they may never discover what they’re missing. Who doesn’t need a little more bliss in their lives? The head of the Swaminarayan mission, Shri Pramukh Swami Maharaj visited the Shri Sathya Sai Heart Hospital at Rajkot. Pujya Pramukh Swami met the Tustees Bros. Kanubhai Patel and Manojbhai Bhimani who took him around the whole hospital including the Operation theatres, ICUs etc. He was very pleased with the latest medical equipment in the hospital for diagnosing and treating even the most difficult cases. He then visited the wards and personally blessed all the patients there. He told all those present there that He was very impressed with the care and love showered to the patients there by the devoted team of the Doctors and the staff. The most revered spiritual leader and head of Shri Swaminarayan Hindu Mission (BAPS), Pujya Shri Pramukh Swami Maharaj, graced Sri Sathya Sai Super Speciality Hospital, Kalawad Road, Rajkot with a visit last Sunday. The holy man saw for himself how this renowned establishment offers free facilities and services and was impressed by how it lives up to its ‘Service to Man is Service to God’ motto. He proceeded to give his personal attention to every section of the hospital and showered his blessings upon the medical staff, patients and members of the hospital trustee group. Very expensive heart surgery and modern treatment is available at Sri Sathya Sai Hospital no cost – regardless of any ability to pay. Every patient is seen as ‘Narayana’ – God in human form. His Holiness showed great interest in every aspect of the work being carried out and went through the administrative offices, operation theatre, Intensive Care Unit, and met those awaiting and undergoing treatment as well as those who had already been operated upon. This gave him an over all picture of the institution and its workings. He also met dignitaries and senior surgeons and showed how pleased and impressed he was with what he had seen and heard. He then visited the Prayer Hall and offered flowers to the image of Sri Sathya Sai Baba, whose divine message has inspired the foundation of the hospital and other major social projects throughout India and, indeed, the world. ‘This auspicious visit by such a unique spiritual personality as Pramukh Swami Maharaj is truly momentous and an inspiration to do even more’ were the sentiments expressed by the Hospital Managing Trustee, Kanubhai Patel and Joint Managing Trustee, Manojbhai Bhimani. 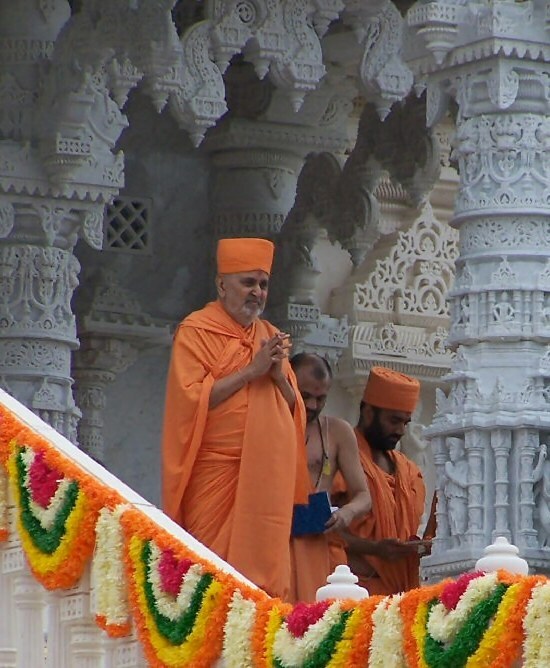 Shri Pramukh Swami Maharaj is the inspiration behind the creation of over 650 temples worldwide and heads an organisation which promotes social awakening, education and service to the community. Bochasanvasi Shri Akshar Purushottam Swaminarayan Sanstha is a progressive and very active movement with several million followers throughout the world. Bhagwan Sri Satya Sai Baba will offer keys of the newly-constructed houses under the Sai Kutir Yojana to the families which were severely affected by the devastating floods in the State last year. He will hand over the keys of these housed on the occasion of the Ram Navami on April 3 at Puttaparti in Andhra Pradesh. Six hundred two families of 14 villages in Cuttack, Puri and Kendrapara districts are included under the Yojna. Out of these, 200 families will be rehabilitated in the first phase. About Rs 6 crore is estimated to be spent in the construction of these 602 houses. Construction company L&T under the super vision of Chalpati Prusti and Ramkrushna Prusty, the engineers of the Prasanti Nilayam, is constructing these houses. Heads of these 200 families along with their wives are invited to Puttaparti. Expenditure of transporting and lodging will be bore by the Satya Sai Sangathan. They will get the blessings of Baba, besides new clothes and home appliances. The family members led by Sangathan’s State wing president Prof Harikrushna Das will start their journey on March 30. The members in support of the Sangathan will present a cultural programme on their miserable conditions after the devastation by the flood and the grace of Baba. In another programme, these beneficiaries through a song-drama based on the life of the Mythological character Sabari will request Baba to come to Orissa.